PARKING: Private valet parking on site, reservation is required, charged at €13 per day. Hotel Burdigala is a unique and sumptuous 4* hotel offering guests perfect service in exquisite surroundings. 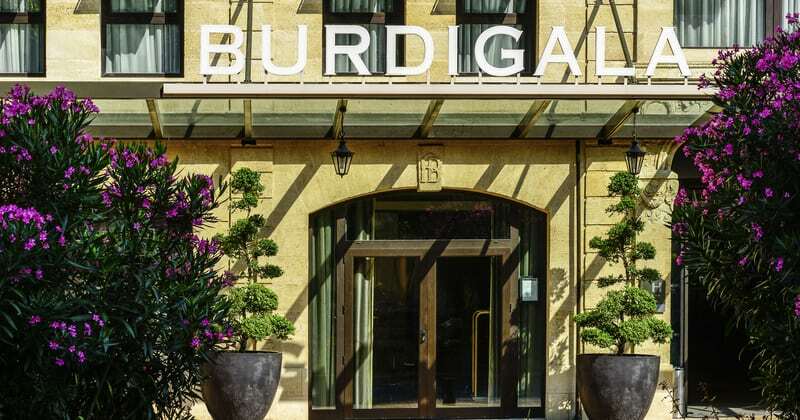 Within walking distance of the delightful attractions of Bordeaux, and just a 5 minute walk from the historic centre, Burdigala’s excellent transport links make this the ideal luxury base for exploring Bordeaux. Bordeaux is the perfect destination for lovers of culture. With an active art scene you will find plenty of galleries and museums to peruse. For a livelier weekend Bordeaux hosts many modern nightclubs and stylish bars. The Burdigala is perfectly situated for those wishing to explore any aspect of the city, close to the bus and tram links and a short walk from the city centre. The multilingual concierge team is always delighted to recommend nearby attractions. 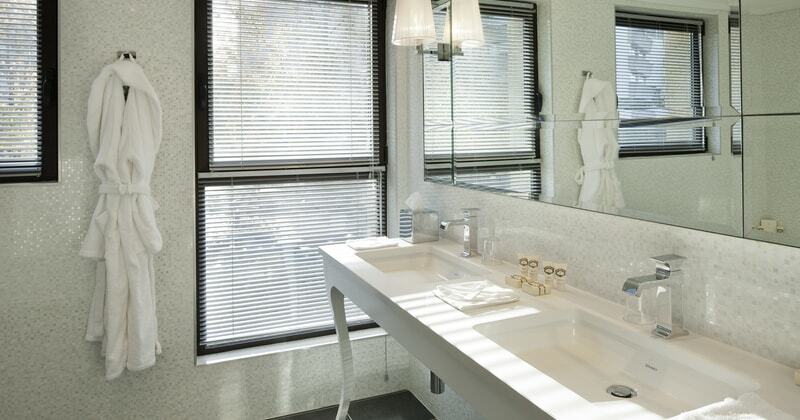 The Burdigala boasts all the facilities you would expect from a 5* hotel. 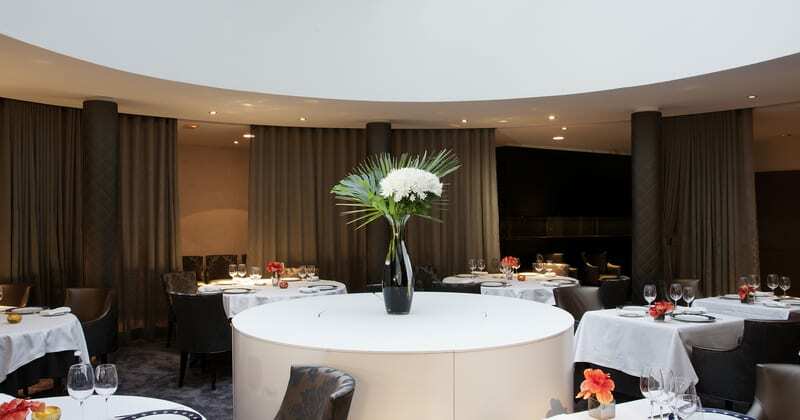 The splendid restaurant offers a fabulous menu with the focus on wine as much as food, and both are very good indeed. The bar’s esteemed collection of single malt whiskies and Armagnacs certainly add appeal. For corporate clients the Burdigala has a range of conference rooms ranging from 20 – 120 clients. The Burdigala has 5 levels of rooms; Standard, Luxury, Duplex, Junior Suites and Suites. Each room is equipped with unlimited Wi-Fi, A/C, TV with LCD screen, safe and mini bar. 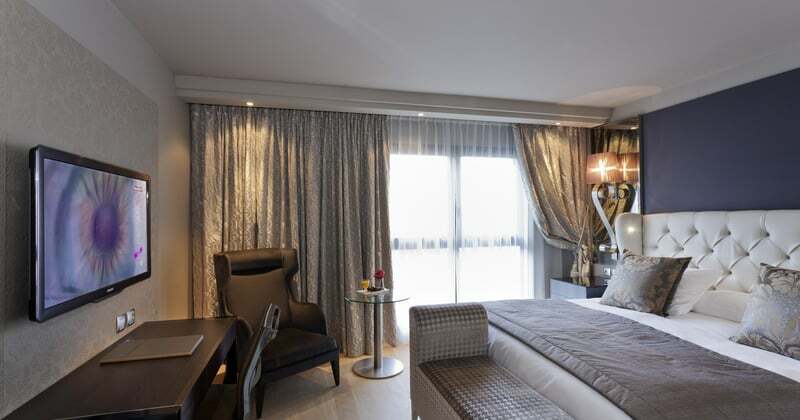 The rooms are decorated in a warm luxurious style. The hotel strives to constantly improve the quality of the accommodation and carries out various small renovations throughout the year.